For excellent cakes and pastries Peggy Porschen's shop in Belgravia is the place to go - it's where many A-listers including Elton John, Stella McCartney and Sir Anthony Hopkins place an order when they've got something to celebrate. Peggy Porschen has a passion for cakes which she indulged by training at the Cordon Bleu cookery school after which she worked as a pastry chef at the Lanesborough Hotel, later becoming cake decorator for Konditor & Cook proprietor Gerhard Jenne. Peggy's creations are more than something sweet, they are edible works of art. Autumn 2010 saw the launch of the Peggy Porschen Parlour in Ebury Street where you can sample a selection of her own blend of teas as well as the delicious cakes. In January 2011 Peggy's Cake Academy opened on Elizabeth Street, London's first cookery school entirely dedicated to baking, cake decorating and sugar craft. 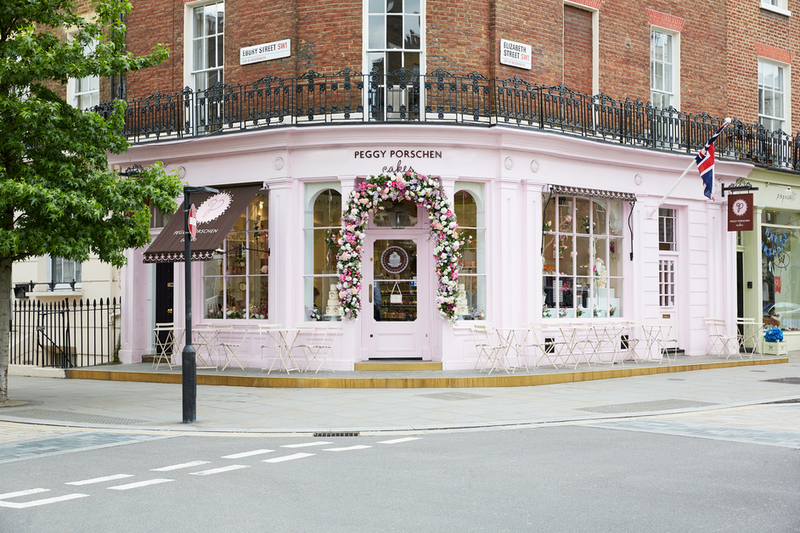 What are the best dining options near Peggy Porschen London? Peggy Porschen gyms, sporting activities, health & beauty and fitness. The best pubs near London Peggy Porschen. Peggy Porschen clubs, bars, cabaret nights, casinos and interesting nightlife. Where to have your meeting, conference, exhibition, private dining or training course near Peggy Porschen. From cheap budget accommodation to luxury 5 star hotels see our deals for Peggy Porschen hotels, including Sloane Square Hotel London from 86% off.